4.2 What is surface design? Design professionals in the textile and fashion industries as well as interior design; Academics with a research interest in the area. 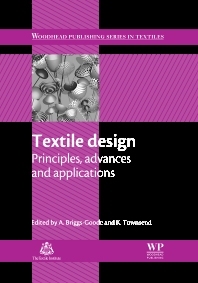 Dr Amanda Briggs-Goode is the Programme Leader for BA Textile Design at Nottingham Trent University. Dr Katherine Townsend is the Programme Leader for MA Fashion, Knitwear and Textile Design at Nottingham Trent University.